These are my Top 2 Bread Recipes. They are my “go to” recipes whenever I need to whip up a loaf. I know they will always taste great. 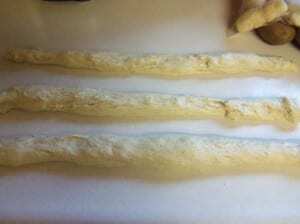 The first one is a recipe that I use to make sandwich bread. It holds up without crumbling to bits, so it slices wonderfully. You can throw it in your bread maker, or knead and bake it in a loaf pan (I suggest a glass one like this because I do not use aluminum). And it only has 6 ingredients. Combine wet and dry ingredients separately, then combine. Knead for 5-10 minutes, until smooth and elastic. Place in glass baking dish, cover, and let rise for 1hr. This second recipe is for the bread I make with meals. We can seriously eat both loaves right out of the oven!! It is so incredibly good that whoever I make it for asks for the recipe. 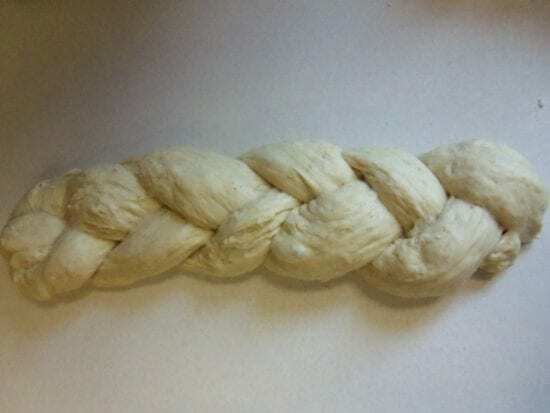 You can braid it, twist it, form it into a ball, or throw it into a dish. I’ve done it all and it works great. Like I said, a super tasty no fail bread. Add warm water to active dry yeast. After yeast dissolves, add sugar and oil. Beat eggs and remove 2 Tbsp for egg wash. Add 1 Tbsp water to egg wash. Set aside. Combine salt with a cup of flour so it doesn't clump, and add flour to wet ingredients until it forms a soft dough. Knead for 5 minutes, cover, and let rise for 45 min-1 hour. After risen, punch down and divide in half. Divide each half into thirds and shape each into a rope (see below). Braid and place on greased pan, cover, and let rise for a second time (15-20min.). Gently brush with egg wash.
Bake at 350F for 20-25min. That Braided Loaf has got to be one of the best breads I have ever eaten! The sky’s the limit. Whether round, deep, shallow, rectangular, the difference and material will just effect the baking time. If you want a loaf to cut for sandwiches, I would use a 9in x 5in loaf pan. That is what the time is for above. That braided bread is gorgeous and I’ll bet it tastes delicious! I love bread 🙂 The recipes looks great. 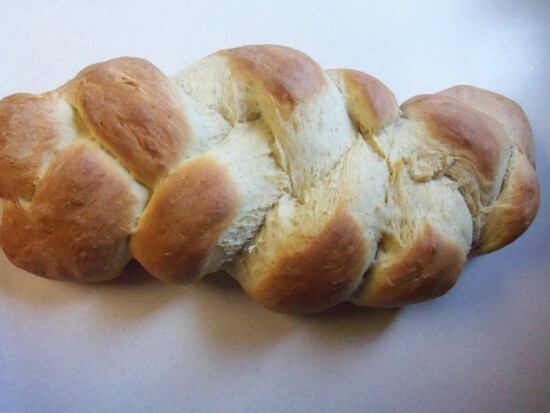 I love the look of the braided bread.